Editor/Author Fraser, Catherine C. and Hoffmann, Dierk O. From the reality TV show Superstar to Formula One ace Michael Schumacher, Pop Culture Germany! 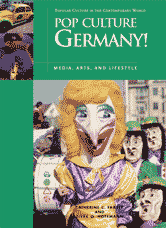 explores the exciting world of contemporary German popular culture.